Have you considered the pads from the ATH-A1000(earpad item# HP-A1000)? They’re also made from the same “pleather” as the ATH-A500/700/900 but they are slightly more higher quality and smoother. My A500’s have virtually no pleather left and only spongy foam left and I’m really considering these pads from the A1000. Not a bad idea, if/when my current pads begin to degrade I’ll consider try the A1000 first and make a new posting, although that might take a while. I couldn’t wait as my A500 headphones had absolutely no pleather left and was basically all sponge, which is uncomfortable during long use. I purchased a pair of A1000 pads direct from Audio-Technica USA, I’ll see how these fare compared to the original micro-thin sponge pads. It’s almost a shame such a great line of headphones have crappy earpads. I forgot to say thanks for putting the picture comparing the two different earpads in your post! Forgot to mention, the A1000 pads came out to just under $40 with shipping included for anyone coming across this while googling. Do you still have the W5000 replacement ear pads? I would be interested for my W1000. If not can you provide the link where you got them? Nope, sold mine via the head-fi.org forum. I purchased them directly from the companies service department but you might find them on sale by someone on head-fi as well. 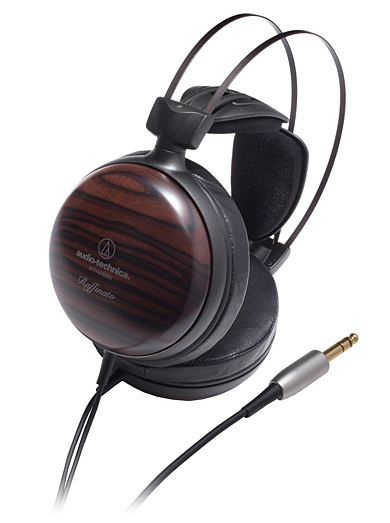 Hi, can you please provide the link or more informations where did you buy those W5000 earpads? I understand that its from ATH service department, but I don’t know how to contact them, because only information I get is contact to my local depot, and I’m sure they will reap me off with 250% price. I got them directly from the Audio Technica Parts Department, check their site for contact information.